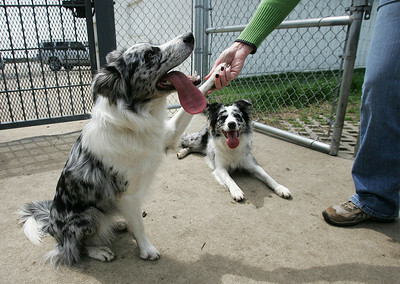 Kyle Grillot - kgrillot@shawmedia.com Lily and Freya, two border collies from Lake in the Hills relax for a treat after practicing the obstacle course at the bark in the park event at the Lake in the Hills Dog Park on Saturday, MAy, 4, 2013. 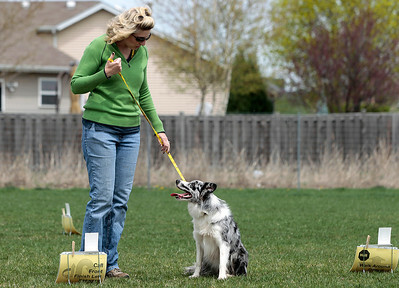 The event allows dogs and their owners to enjoy the 10-acre off-leash park with various activities going on throughout the day. 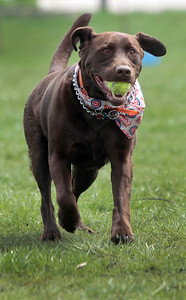 Kyle Grillot - kgrillot@shawmedia.com Murphy the chocolate lab retrieves a tennis ball at the bark in the park event at the Lake in the Hills Dog Park on Saturday, MAy, 4, 2013. 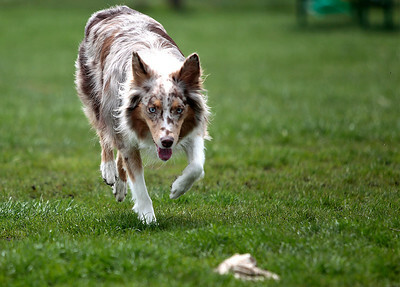 The event allows dogs and their owners to enjoy the 10-acre off-leash park with various activities going on throughout the day. 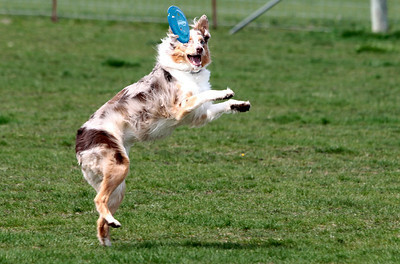 Kyle Grillot - kgrillot@shawmedia.com Bella the Australian Shepard jumps for a frisbee at the bark in the park event at the Lake in the Hills Dog Park on Saturday, MAy, 4, 2013. The event allows dogs and their owners to enjoy the 10-acre off-leash park with various activities going on throughout the day. Kyle Grillot - kgrillot@shawmedia.com Bella the Australian Shepard inspects toys on the ground at the bark in the park event at the Lake in the Hills Dog Park on Saturday, MAy, 4, 2013. The event allows dogs and their owners to enjoy the 10-acre off-leash park with various activities going on throughout the day. 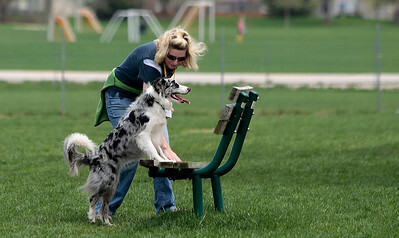 Kyle Grillot - kgrillot@shawmedia.com Kris Kenney of Lake in the Hills and her border collie Freya work in the obstacle course at the bark in the park event at the Lake in the Hills Dog Park on Saturday, MAy, 4, 2013. The event allows dogs and their owners to enjoy the 10-acre off-leash park with various activities going on throughout the day. 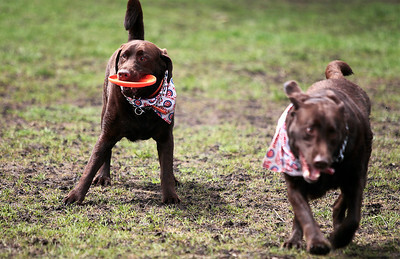 Kyle Grillot - kgrillot@shawmedia.com Chocolate lab brothers Murphy and Wrigley (right) fight for a toy at the bark in the park event at the Lake in the Hills Dog Park on Saturday, MAy, 4, 2013. The event allows dogs and their owners to enjoy the 10-acre off-leash park with various activities going on throughout the day. Kyle Grillot - kgrillot@shawmedia.com Many different dogs and their owners come together at the bark in the park event at the Lake in the Hills Dog Park on Saturday, MAy, 4, 2013. The event allows dogs and their owners to enjoy the 10-acre off-leash park with various activities going on throughout the day. 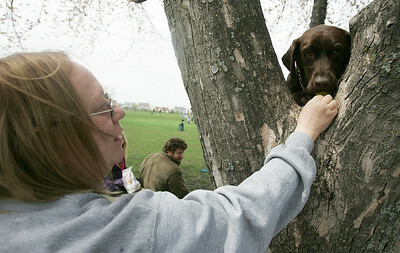 Kyle Grillot - kgrillot@shawmedia.com Donna Nutile of Lake in the hills gives her dog Murphy a treat for climbing into a tree at the bark in the park event at the Lake in the Hills Dog Park on Saturday, MAy, 4, 2013. The event allows dogs and their owners to enjoy the 10-acre off-leash park with various activities going on throughout the day. 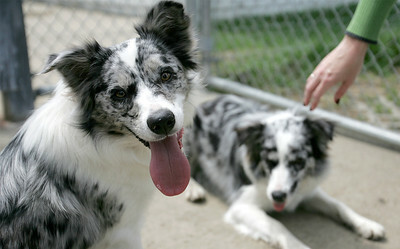 Lily and Freya, two border collies from Lake in the Hills relax for a treat after practicing the obstacle course at the bark in the park event at the Lake in the Hills Dog Park on Saturday, MAy, 4, 2013. 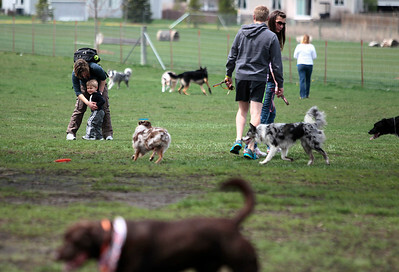 The event allows dogs and their owners to enjoy the 10-acre off-leash park with various activities going on throughout the day.